On the French Riviera, local guides memorize lists of the world's largest yachts. A fun dimension of Antibes is its bars, which cater to the crews of yachts like the ones here. While Nice is the most substantial of Riviera cities, Antibes (just half an hour west of Nice) is smaller and cuter. As you walk from the train station to the old town along its harbor, the yachts get bigger and bigger. Finally, at the end, you reach the "Quai des Milliardaires" (billionaires' dock), where yacht-length envy inspires unfathomable conspicuous consumption. Click these photos for some thoughts on yachts. On the French Riviera, local guides memorize lists of the world's largest yachts. 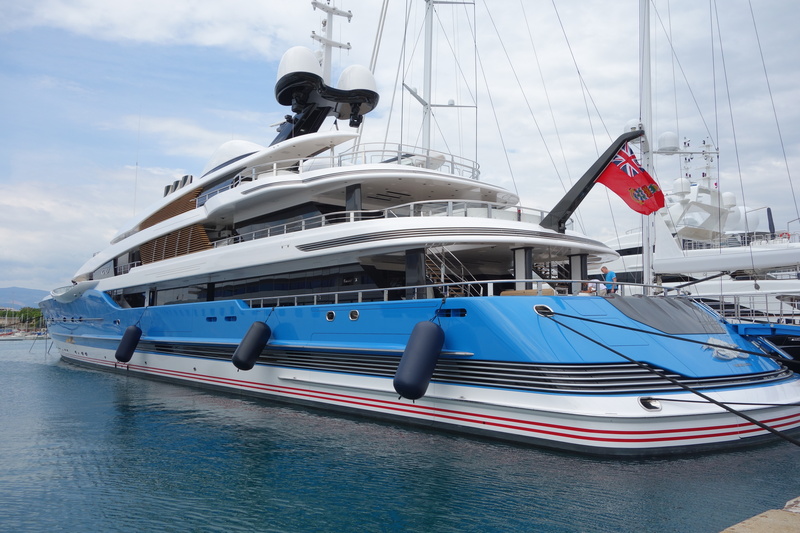 A fun dimension of Antibes is its bars, which cater to the crews of yachts like this one. 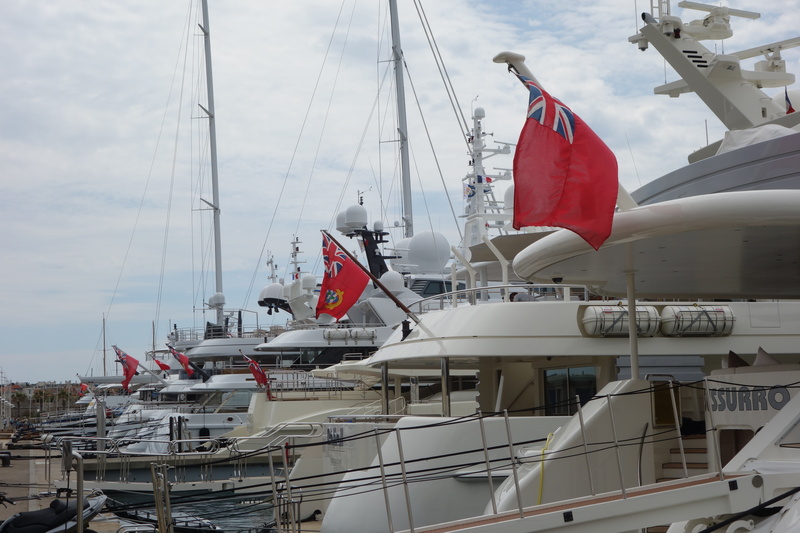 Walking along a row of a dozen or so of these mammoth yachts, I noticed they all flew the same flag: the Cayman Islands, a nation where probably none of their owners actually live. If you're that rich, is it just common sense to avoid taxes by not registering your yacht in your homeland? Each one of these people is presumably wealthy enough to own a yacht that has a full-time, year-round staff, yet maybe they typically only use their floating palace five to 10 days a year. Perhaps they don't know what to do with all of their wealth, and perhaps they would still feel the need to figure out a clever way to avoid paying their taxes. If it is legal, is it right?